Head Back to School in the Summer Holidays ! Maths, physics, literature and geography…This summer return to school in the school holidays, without a blackboard, pencil case or gym kit in sight! 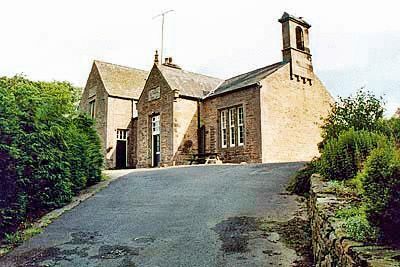 We have a selection of beautifully converted schools throughout the UK, perfect for some old school nostalgia with or without the kids. Whether it’s a renovated boys school or a 19th century school house, a number of the 9,000 holiday cottages to rent through cottages4you throughout the UK are brimming with character, ideal for couples or a large family and their pet pooch! 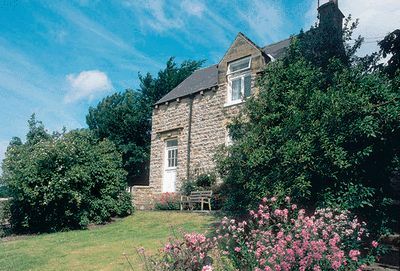 Choose from one of these fantastic school conversions over the summer holidays with cottages4you. Sitting in a peaceful picture postcard village, in the Valley of the River Rye, this detached stone school house, complete with Inglenook fireplace, is far from school as we remember it! Enjoy the secluded sun-trapped garden, or take a stroll amongst the beautiful surrounding North Yorkshire Moors National Park. Just 200 yards away is the local pub, and five miles away is the town of Helmsley with inns, castles and Rievaulx Abbey. Property comprises one double bedroom and one twin bedroom. Price: £627.50 for seven nights arriving on 23rd August, sleeps four. Details and booking; click here ! This character cottage, dating back to 1875, boasts many classic features such as beamed and sloping ceilings, with plenty of space for all the family. 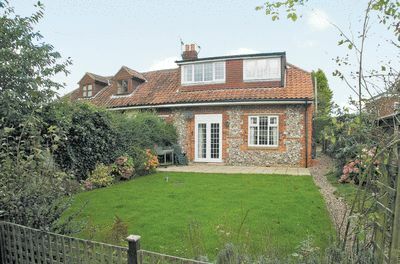 Ideally located for visiting sandy beaches, the Norfolk Broads and the city of Norwich, this old school cottage is perfect for a British summer break. Village shop just one mile away. Property comprises one double bedroom, one twin bedroom and one bunk bedroom. Price: £616.50 staying for seven nights arriving on 23rd August, sleeps six plus one pet. Situated in the heart of the North Pennines and an Area of Outstanding Natural Beauty, this converted wing of a former Victorian school is set in a glorious hamlet, brimming with character. The area boasts the lowest light pollution in the UK, boasting incredible starry nights. This grand property is perfect for exploring the surroundings, located on the borders of Cumbria, Northumberland and County Durham. Property comprises two double bedrooms with beamed ceilings, and one bunk bedded room. There is also a beamed conservatory and large kitchen diner with multi-fuel stove. Price: £928 staying for seven nights arriving on 23rd August, sleeps six. Well done – what a great idea for a blog. This may well be a first, as I have not seen a travel blog before that is totally devoted to holiday cottage rental. I have always been thinking of taking a cottage holiday – friends and family have done this on numerous occasions. But it seems to be a bit difficult to find a cottage for just two people – most cottages seem to be listed for large numbers! Of course we could do it with friends, but then it’s a problem of everybody coordinating their holiday plans. My ideal cottage holiday would be in Brittany or Sweden. I am also into the idea of city apartment rental. Anyway, this is clearly a blog that I will be visiting in future!